Hopefully, we’ll get more sun and less rain here in England this summer – it is owed to us after all. 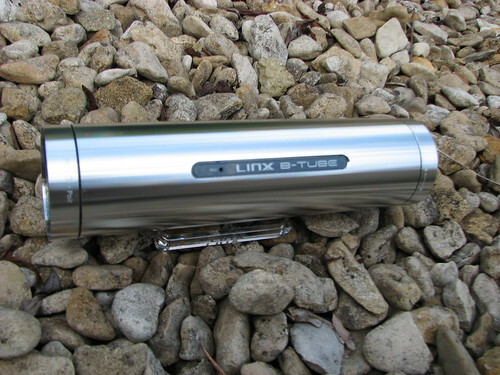 If the sun does decide to stay out, then what I recommend is that you take a look at the Linx B-Tube. This speaker system works wirelessly using Bluetooth and supports A2DP for stereo streaming from your Bluetooth enabled mobile phone or mp3 player. Perfect for sitting in the park and listen to your favourite tunes. 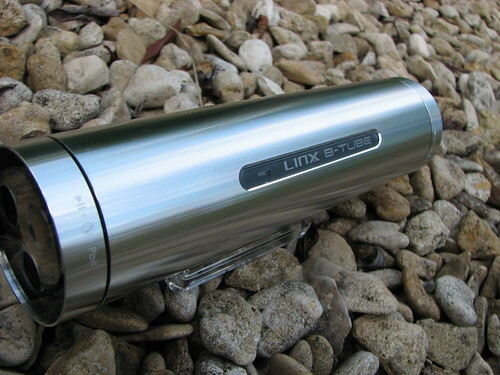 The B-Tube has a unique design that comes in an aluminium tube, with the speakers on the two ends. The design with its circular LED lights is reminiscent of the handle for a light sabre from Star Wars – rather funky I think. 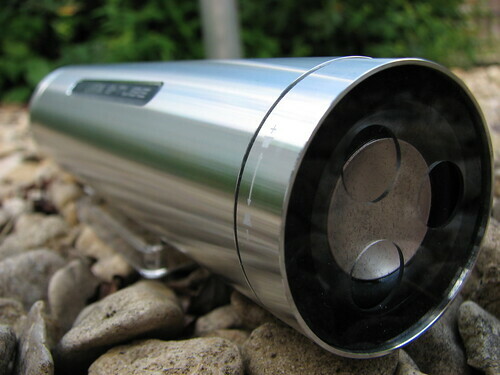 Inside the tube, there is a rechargeable lithium ion battery that is rated to last up to eight hours of playback and the Bluetooth 2.0 wireless chipset. But that’s not all. The B-Tube will also work as a hands free speaker phone with its built-in microphone, great for home or use in the office. The controls are very simple and pairing it up with a Bluetooth device involves nothing more than giving the ends of the tube a quick push. Play and pause control over your music device can also be done from the unit by pushing in the ends with a volume dial on the opposite end or from your mobile device. For instances where you’re not able to accommodate a Bluetooth connection, a 3.5mm line-in port is available for plugging other devices straight in to the unit. 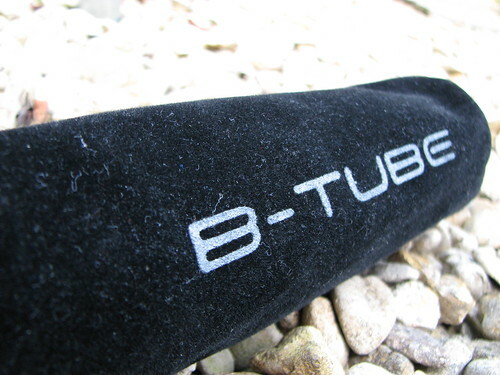 This makes the B-Tube ideal for many scenarios, especially when you’re on the road or on the move and gives you the flexibility in how you want to use the speaker system. Inside the box, you’ll get the AC power adapter, 3.5mm lead, USB lead, felt carrying case and a mini plastic stand. The USB lead allows you to charge the B-Tube from your computer or connect it to the end of the power adapter for mains charging. It’s great to see that everything you need is included and even a nice case for protecting the aluminium from scratches. Sound quality isn’t bad considering it’s going over a wireless connection, thanks to the A2DP support. You will appreciate the technology that this speaker ‘tube’ is packing if you’ve ever heard audio over non-A2DP Bluetooth connections. The B-Tube sound quality rates well against similar speaker systems at the same price range but you get so much more for your money. What I’m finding most impressive is that Linx have come out from nowhere and delivered on a quality product that doesn’t skimp on the features or the package.